Chris Paul is flirting with the title of greatest failure in NBA history — but he can flip the script with one bold decision this summer. Paul is a one of the game’s very best, in his or any other generation, to be sure. Yet no other superstar has come up quite as short in big moments as the Los Angeles Clippers point guard. Actually, that’s an understatement. As you likely know, Paul’s deepest foray into the playoffs came in 2014, when the Clippers lost in six games in the Western Conference semifinals to the Oklahoma City Thunder. He’s never seen a conference final, let alone the NBA Finals, which is the single harshest and most accurate criticism against Paul as one of the all-time greats. 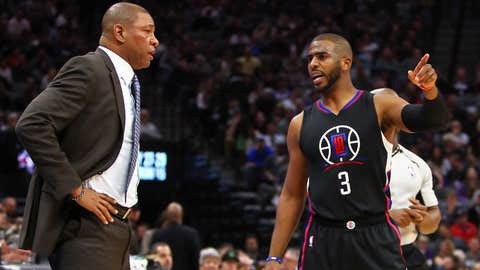 He’s a fantastic point guard, but Paul has to account for the Clippers’ disappointments as the leader of his franchise. Too often, he’s the one who chokes in the clutch during the postseason. He’s the one seemingly incapable of elevating his teammates. And he’s the one who can’t stop arguing with refs, giving everyone else license to whine. The team’s failings are his, through and through. Yet there is no better answer moving forward. As good as the Clippers have played at full strength this season, they’re a step or two behind the Rockets and the Spurs. Even Russell Westbrook’s Thunder conceivably could knock off Paul & Co. in a best-of-7 series. And if L.A. should have the misfortune of running into the Warriors prior to the conference finals … well, let’s just move on before this becomes a eulogy. To be fair, Paul’s recent injury exacerbated any existing issues for Los Angeles this season, and Blake Griffin’s surgery didn’t help matters, either. Then again, why single out the trees when the forest is such a disaster? The Clippers are who they are with or without a Paul injury. Los Angeles has neither the assets to acquire reinforcements nor a GM savvy enough to swing a lopsided move (unless Phil Jackson really wants to help facilitate a CP3-Carmelo Anthony pairing). Without a major change, Paul will go down as the NBA’s best ever player to fail to even whiff the Finals. We might as well start carving that epitaph on his Hall of Fame plaque. Unless, that is, he decides enough is enough. In one huge, NBA-altering free agency choice, Paul could all but guarantee a spot in next year’s conference finals — if he’s willing to take his talents to the Eastern Conference. First, let’s quickly pay lip service to the best current non-Cleveland teams in the East to get them out of the way. The Raptors are fine, and the Celtics finer, truly. Isaiah Thomas is an offensive god. Kyle Lowry and DeMar DeRozan count themselves among the best guards in modern basketball, yadda yadda yadda. Hooray! Yet neither team is a real playoff threat as currently constructed. Toronto falls apart beyond Lowry and DeRozan, and we’ll only worry about the Celtics if and when they package some of their assets for a second offensive star and a big guy who can rebound. The Celtics and Raptors are good teams that aspire to greatness — nothing more. Beyond that? The conference is ripe for the picking, should a superstar be so bold as to relocate. Paul wouldn’t make an Eastern team a true challenger to LeBron James’ Cavaliers, but his presence would turn one of the conference’s also-rans into the clear-cut second-best team on the King’s side of the bracket. No longer would Paul’s legacy depend on the coin-flip chance that he might squeeze through the incredibly difficult Western Conference to the semifinals. He could make his own destiny in the East. The question, though, is where. There is the obvious option: a “Superfriends” reunion in the Big Apple. The New York Knicks could make room for Paul this summer with just a few simple moves. Renounce Derrick Rose, do the same with Brandon Jennings, and make a small trade here or there, and the max deal is on the table. With Paul, Carmelo Anthony, Kristaps Porzingis, and Joakim Noah (probably, anyway, unless the Knicks can trade him), you have the second-best core in the conference — two veteran superstars, an up-and-coming unicorn, and a rim protector to boot. And at that point, you’re banking on the present, not the future, so you have the option to move future draft picks to improve the roster for the here and now. 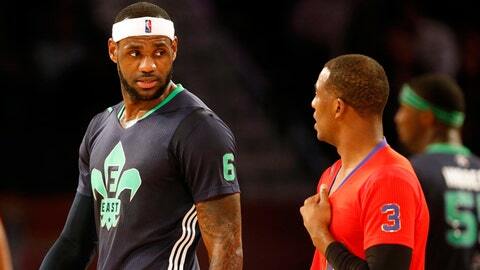 Who cares about a first-round pick when a date with LeBron is on the line? If we dare to dream big, maybe Paul and the Knicks could even take down James and make the Finals. No, really! Not in 2017, or in 2018, or … okay, maybe not ever on this planet. Fine. But if LeBron’s grand social experiment in Cleveland fails, someone in the East will have to pick up the slack. 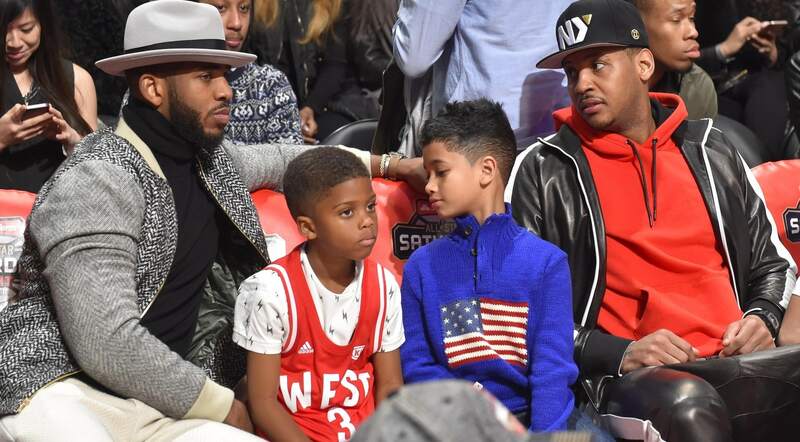 Why not CP3, Melo and Kristaps Porzingis*? Stranger things have happened. *And … maybe Dwyane Wade, while we’re at it? We might as well shoot for the moon. To those who would argue a move to the weaker conference would taint Paul’s legacy, we have a simple rebuttal. NBA diehards always talk about how whichever player saves New York will be regaled as a basketball legend — the savior of the Mecca. Paul could rewrite his reputation, the future of the NBA (imagine Griffin, turn, exercising his option and joining Russell Westbrook with the Thunder), and the Knicks’ legacy in one swoop of the pen come July, or he can keep trying to drag the Clippers through hell. 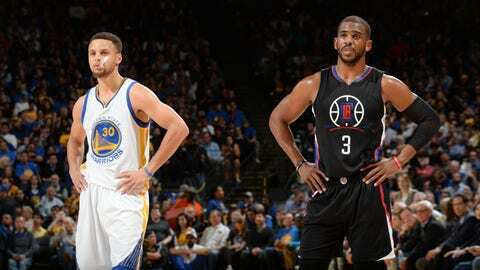 The choice is yours, CP3. Think about it.